Small tweaks with big implications have been introduced in the iPhone 6s series by Apple. There is a next generation processor, better cameras and an improved finger scanner, but perhaps the biggest change concerns the implementation of a feature called 3DTouch. Past revisions to iPhones have upheld Apple’s already premium price point. The 6s and 6s Plus represent a departure by being the most expensive iPhones sold in Australia. The introductory 16GB iPhone 6s has a retail price of $1079. This is a steep 25 per cent rise over the comparable iPhone 6, which launched with an $869 price tag. Following suit is the 5.5-inch iPhone 6s Plus, which at $1,229 for the 16GB model, eclipses the $999 price of its predecessor. In fact, the least expensive iPhone 6s Plus retails for $100 more than the most expensive 6 Plus. A weakening Australian dollar will be partly behind the increase in price following a drop from $0.92 this time last year to $0.70. No cosmetic changes have been made to the styling of the 6s series, even though stronger 7000 series aluminium is behind the construction of its body and a Rose Gold colour is being offered. Headlining a short list of additional features is 3DTouch, which adds depth-oriented gestures to those already recognised by an iPhone. Famed Apple designer Jonathan Ive described 3DTouch as “the next generation in multi-touch” and said it is “deeply integrated into iOS9”. The technology links the functionality of different applications together through one seamless gesture — as evidenced by Force Touch in the MacBook. A firm press on the homescreen populates a menu, while doing so in other parts can preview an application within an actionable window. Larger front- and rear-cameras have been introduced in the iPhone 6s series for the first time in almost four years. The rear camera has a 12-megapixel resolution and can record videos in 4K (aka UHD). The front camera has been bumped up to 5-megapixels, but fails to reap any improvements to its HD video recording. Photos are sandwiched by 3 seconds of video. A 12MP still photo will be encased by 1.5 seconds of video footage on either side to provide some context. The mode, which is enabled by default, animates the photo gallery and will be supported on all of the products in Apple’s ecosystem. 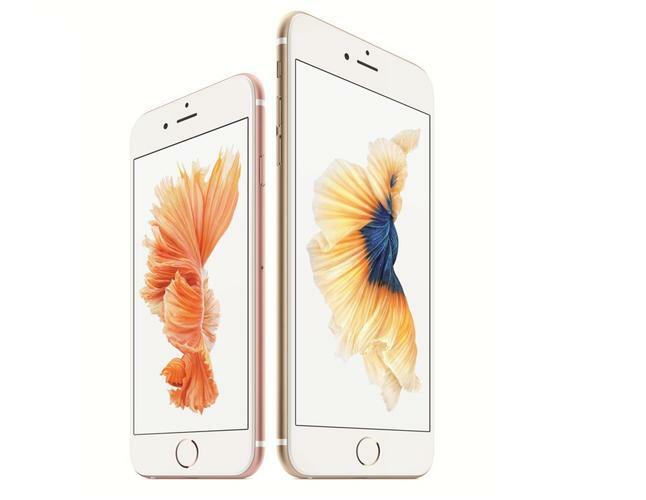 The iPhone 6s and 6s Plus introduces Apple’s A9 processor and its accompanying motion co-processor. The processor boasts more power and is less energy intensive, said Phil Schiller, VP of worldwide marketing at Apple. Fending off stiff competition is an improved TouchID finger scanner. It works twice as fast and ensures Apple retains a competitive advantage over rivals, including Samsung. Huawei and Sony, which have since incorporated finger scanners into their smartphones. Apple’s larger iPhone will face stiff competition from Samsung and Sony. Samsung recently released two large screen smartphones in an effort to dominate a category it pioneered, while Sony unveiled a phablet of its own which features the world’s first 4K screen in a smartphone. The later will commence rolling out globally in November. Increased competition has seen Apple’s share of the smartphone market slip behind Android’s in the last six months. Approximately 54 per cent of all smartphone owners use a smartphone powered by Android, while 41 per cent of the market uses an Apple iPhone, according to research from Telsyte. Market share is expected to rise following the release of the 6s series. Pre-orders for the iPhone 6s and 6s Plus open 12 September with an Australian release to follow a fortnight later on 25 September.